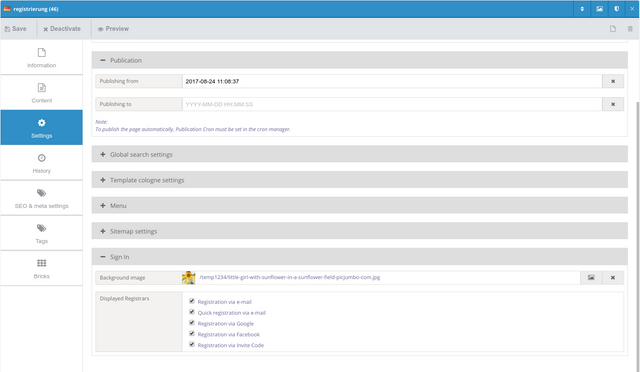 The Frontend Users module extends QUIQQER with a profile extension and a registration for users. With the QUIQQER Frontend Users module your users can register on your website and create a user account. 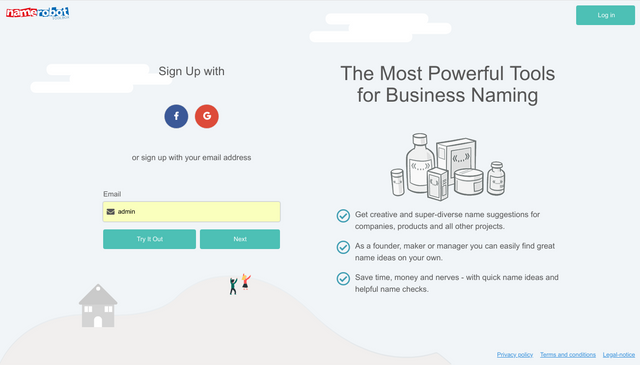 You decide how your users sign up and sign in. Registration and login options like Google and Facebook are available as seperate modules. Registration via e-mail address is part of the core package. This module allows your users to view and edit their own data. They can change their e-mail, address or avatar (and more...). Via the QUIQQER permission management system you can decide which data your users have access to. The old Sign up was very inflexible and all authentication methods looked different. So we decided to create a completely new Sign up. This control can be called individually, in layers or in a site type. Since the Sign up has been fundamentally redesigned, we have also included a log in. Of course it fits to the Sign up and also the social log in are taken into account. This means that the login provided by QUIQQER no longer has to be used. The biggest advantage of this approach is that the login can be customized separately from the main system. Since most users are not developers, we have also implemented the Sign up as a site type. So everybody can create his own sign up page. The site type itself now also has some settings. With these settings the Sign up can be customized. The development of this Sign up took about 6 weeks. Therefore I will present the most important changes. The client script has become extremely complicated, because all the effects and the behavior of the control should be kept quite intuitive. The basic task of the server script is to render the structure, initialize the registrars and intercept all eventualities. The Sign up site type basically consists of 3 files. The most important point here is how the Sign up Control is initialize. Due to the flexibility of the site type, each Sign up can now be set up individually. 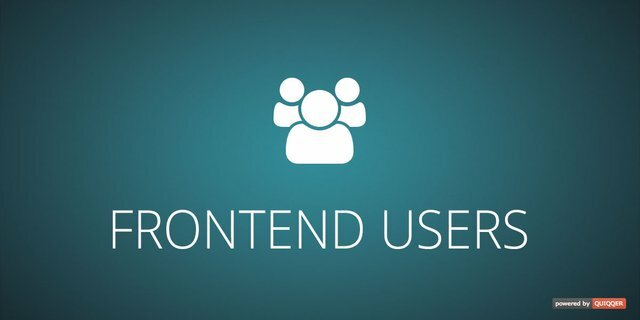 In the next weeks, when all tests are finished, a new version of the Frontend Users module will be available. And the creation of registrations is now a piece of cake. Although we normally like people to keep the commits / pull requests to < 14 days old, we try to be lenient with it. Considering the immense amount of work and features added, I've decided to completely forgo that - great stuff man! Some of these features are really incredible, and I wish I could implement stuff like this myself, haha. Just so you know, I've decided to staff pick this, so it will receive the maximum score possible! I am really impressed by this contribution, it has sort of blown me away. In the future you could even submit this in smaller parts if you want to, but I guess you wanted to complete it before doing so. Anyway, looking forward to seeing what else you guys submit, as it's always very cool stuff! You aren't the first to have a problem with it, so we try to be as lenient with it as we can. In reality the limit is more like 1 month, which I think is a good amount of time. Looking forward to see the other things in the pipeline! All is fine ;-) You Utopians do a good job!